The Mainstay Composite Liner was originally developed by United States Steel Corporation as a process for lining uncured reinforced concrete pipe (photo on the left). 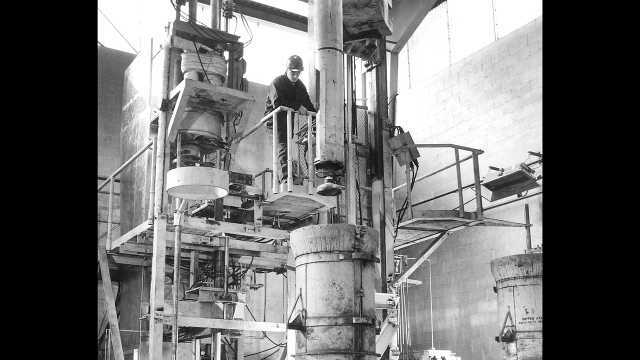 The USS Chemicals division performed the first commercial application of Mainstay in 1962. Several million square feet of Mainstay was applied by U.S. Steel crews over the following nine years. In 1971, U.S. Steel decided to divest its coatings interests, including Mainstay. Madewell Products Corporation was established soon thereafter to manufacture Mainstay products. Over the last 50 years, Mainstay brand products have been used to line concrete surfaces in sanitary sewer and industrial environments throughout the U.S. and abroad. Today, Madewell Products manufactures a variety of cementitious and epoxy products, including aquarium lining systems, flooring products, potable water coatings, and tank linings. Madewell also manufactures specialized application equipment for use with these materials. All products and components are manufactured at Madewell's headquarters in Alpharetta, GA.